During the last year’s I have used this wet Compass solution. Now I found the post of René on the Prosim forum explaining how he is interfacing his own built wet Compass. Quite simple to be honest. Take an Arduino board (eg. this one on Amazon) and his own built compass, it’s nearly plug and play. The Arduino board is converted to a mobiflight board with the firmware modification. Required software can be found here. I have mounted the wet compass in its position and as there are also LEDs included I connected them to the responsible switch. Quite nice product. Thanks René. Get with him in touch trough the Prosim Forum to get an price with shipping to your country. Shipping was absolutely fine and René is very fast in responding and providing the asked information. I can recommend this product if you are looking for a wet Compass solution. This is the 21st and last leg of our Mediterranean Tour 2018. It takes us back north to Venice. 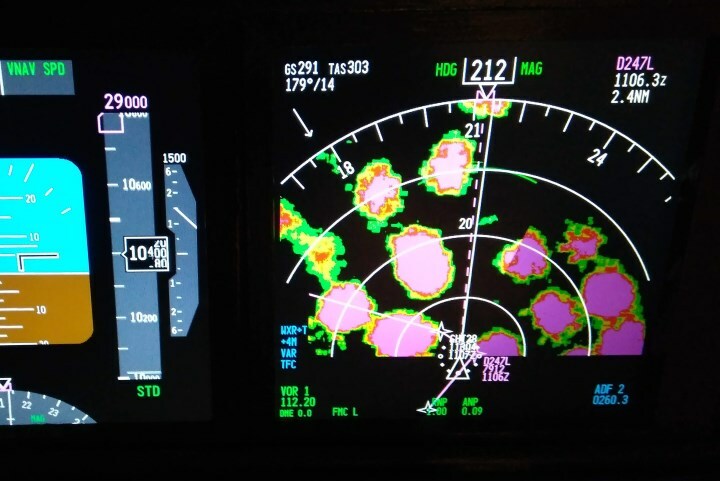 We started the tour back in March 2018 and we have visited a lot of great airports with some challenging approaches and weather conditions. Our total block time was 22 hours and 06 minutes, we traveled 6459 nm, which are 11.962 km. We burned 53.4 tons of fuel during our tour. Here you can see all videos in the playlist. Some legs where flown with other aircraft, therefore no videos are available, but you will find all blog entries here. The 20th leg takes a last time down south, to Rome [LIRF]. On 27th October 2018 the next CTP event was held on the Vatsim network. I was flying from New York JFK to Manchester. Blocktime was 7hours and 21 minutes. The 19th leg takes us back up to the alps with a nice view to the mountains on the approach. The 18th flight takes us again north to Verona. This time in good weather, no thunderstorms and no turbulence.